There are many situations where using a chatbot can be beneficial. You can use chatbots to deal with customer support, help users figure out what product to buy, and even just to route inquiries faster. However, if used correctly they can also be implemented on your landing pages to drive more conversions. That’s where services such as Landbot.io come in. This particular platform is both easy to use, and nails conversational design, which makes for a better experience. In this article, we’re going to take a closer look at Landbot.io and break down how to use it. Before that, let’s talk a bit more about conversational design and landing pages! As you may know, landing pages are one-page websites designed to drive conversions. In turn, a conversational landing page is one built around interacting with a chatbot. These days, it’s easy enough to add a chatbot to WordPress, but using it as the centerpiece for a landing page is rather more involved. 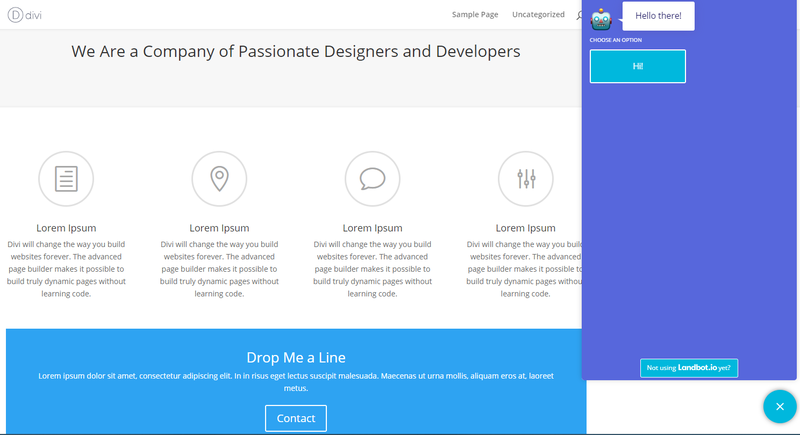 Our goal then is to take the basic landing page and use conversational design to improve it. This will create a more engaging experience, as the site’s visitors can interact directly with your chatbot, rather than passively taking in static information. You can provide the same information through your chatbot in a way that feels more organic that also enables you to get your brand’s personality across at the same time. Creating a conversational landing page that’s engaging and effective enough to drive conversions can take some time. You’ll need to put work into customizing how your chatbot responds to visitors if you want them to walk away happy. Some chatbots are more difficult to use than others, so you’ll need one that’s both simple to configure, and also lets you create a visually engaging result. Let’s look at one right now! If you want to see what a conversational landing page looks like in the wild, go ahead and visit Landbot.io now. The design itself is simple and it’s all built around a chatbot that provides information and helps funnel you towards their signup page. As for the service itself, it makes the process of creating a chatbot simpler than many other tools we’ve tried. Signing up is simple, and you can create a free account in minutes. Once you’re registered, you can get right to work on your chatbot using an intuitive flow-based chatbot builder. 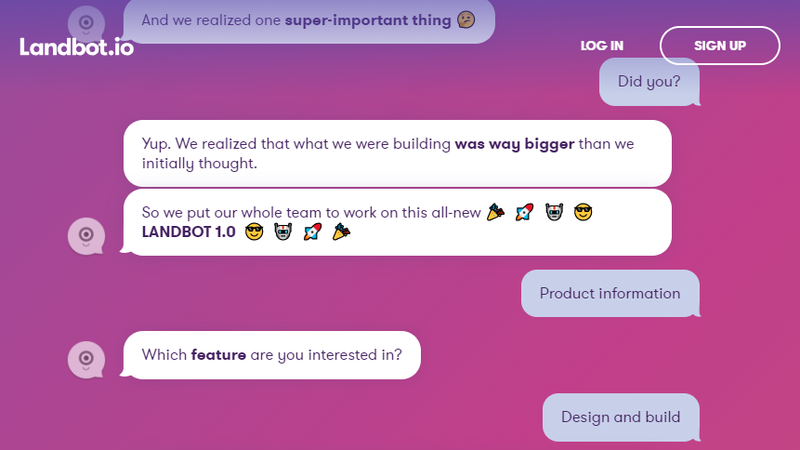 On top of being easy to use, Landbot.io also enables you to play with the design of your chatbot, enabling you to use it on almost any website. 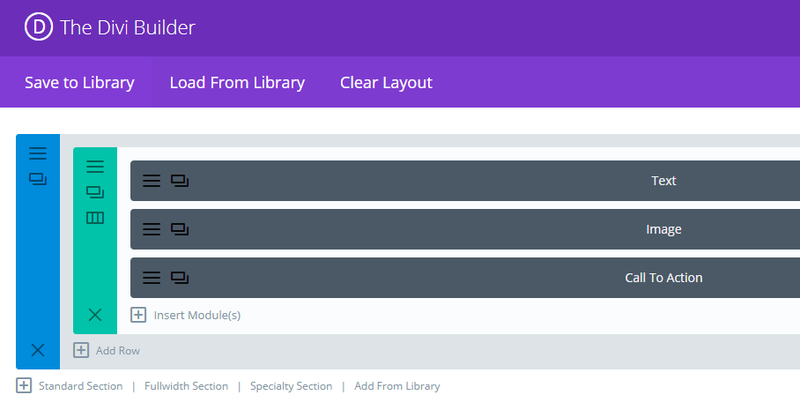 Plus, integrating it with WordPress is simple, as we’ll show you in the next section. While the platform does offer a free plan it only supports up to 100 free chats. That means if you intend to use it for a website that receives even a moderate amount of traffic or to set up a serious landing page, you’ll probably want to shell out for a premium account. 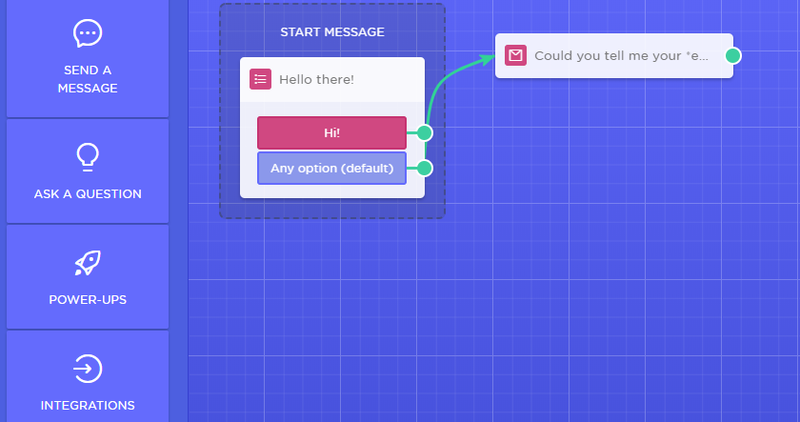 Use a visual builder to create your chatbots. Design complex conversational flows using mind maps. Tweak your chatbot’s design using several settings and pre-built templates. We’re now going to teach you how to create a basic chatbot using Landbot.io and integrate it with WordPress. While we’re focusing on WordPress here, we should point out that you can also use Landbot.io to create standalone landing pages. We’ll talk more about that later, but for now, let’s get down to business! Once that’s done, you’ll be able to log into your new Landbot.io account and access your dashboard. Let’s now look at the practical aspects of creating a chatbot. In the case of Landbot.io, it works using a ‘block’ system. Each block can contain multiple messages that’ll show up in order. Furthermore, you can configure unique ‘flows’ or actions for each item within your blocks. That’s about as simple as a chatbot gets. However, it’s ideal for a conversational landing page since you can use that flow to help you collect leads. Once you have your visitor’s emails, then you can keep the conversation going any way you want. Let’s show you how we got to that point. Go ahead an pick the Slack/Email option now, then connect it to the question you set up a minute ago. For this example, we’ll set up a simple email notification instead of a Slack integration. Now, you’ve got a basic chatbot ready to go. It’s now time to integrate Landbot.io with WordPress. If you want the chatbot to be the centerpiece of the landing page, you can also use the full page option. However, keep in mind that doing so will cause the bot to appear over the entire page, meaning it will cover anything you set up using Divi. As such, you should design the site around the chatbot first, so you’re not accidentally obscuring other content. If you want to set up a full conversational landing page while using WordPress, this is the best way to do it! Conversational landing pages are still a somewhat unexplored field in web design, but they can be an effective tool for increasing conversions. Using a chatbot as your landing page’s centerpiece may even help set you apart from the competition, which is why you should consider trying out services such as Landbot.io. Set up your Landbot.io account. Embed your chatbot into WordPress. Do you have any questions about creating a better chatbot experience? Let’s talk about them in the comments section below! Hey John, thanks for the intro to Landbot! I was wondering if you did any analysis of the impact it has on page loading times. It’s very interesting, I’ll try it. thank you John! Excellent is already published on my WEB. The design is very intuitive. With the use they are shortcuts to design fast and easy different chat. Very good contribution! I’m glad you found it useful, Nicolas! I suppose you could limit the chat box to mobile devices only?